However, the other three Irish players participating in the event have a lot to do if they are to make the cut for the final two rounds. Dermot McElroy and Niall Gorey carded a pair of three-over 75s, while Gary Hurley - who was beaten by a final hole chip-in last week at the Australian Amateur by the eventual winner Marcel Schneider - struggled in the most difficult conditions to shoot a 76. Germany’s Schneider continued his rich vein of form with an opening 66, and is one behind the first round leader, Australian Daniel Nisbet. For more information on the Lake Macquarie Amateur Championship, click here. The New South Wales Amateur begins with a 72-hole stroke play tournament at Mona Vale Golf Club and Long Reef Golf Club in Sydney from 1st-3rd February, with the top-32 finishers qualifying for the Amateur Championship itself, decided over three days of match play at nearby Elanora Golf Club on 6th-8th February. For more information on the New South Wales Amateur Championship, click here. Gary Hurley in action.Gary Hurley was the only Irishman to make it through to the second round of the Australian Amateur Open at Woodlands Golf Club in Melbourne. 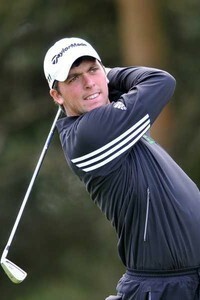 Gary Hurley bit the dust in the Australian Amateur despite a spirited fightback. Picture © Pat Cashman (courtesy GUI).Irish interest in the Australian Amateur Open ended last night when Gary Hurley was beaten on the 18th in the second round. Reeve Whitson Mourne’s Reeve Whitson fired a third round 68 to trail Germany’s Marcel Schneider by 10 shots entering the final round of the Lake Macquarie Amateur Championship in Australia. 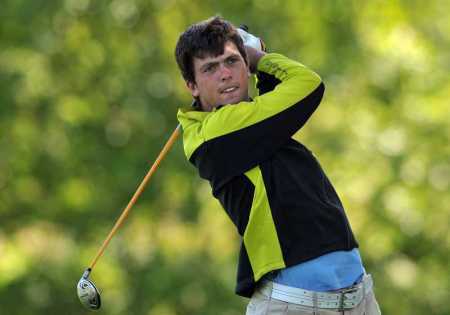 Lucan’s Richard O’Donovan carded a third round 74 for 215 with Ballymena’s Dermot McIlroy a shot futher back after a 74.